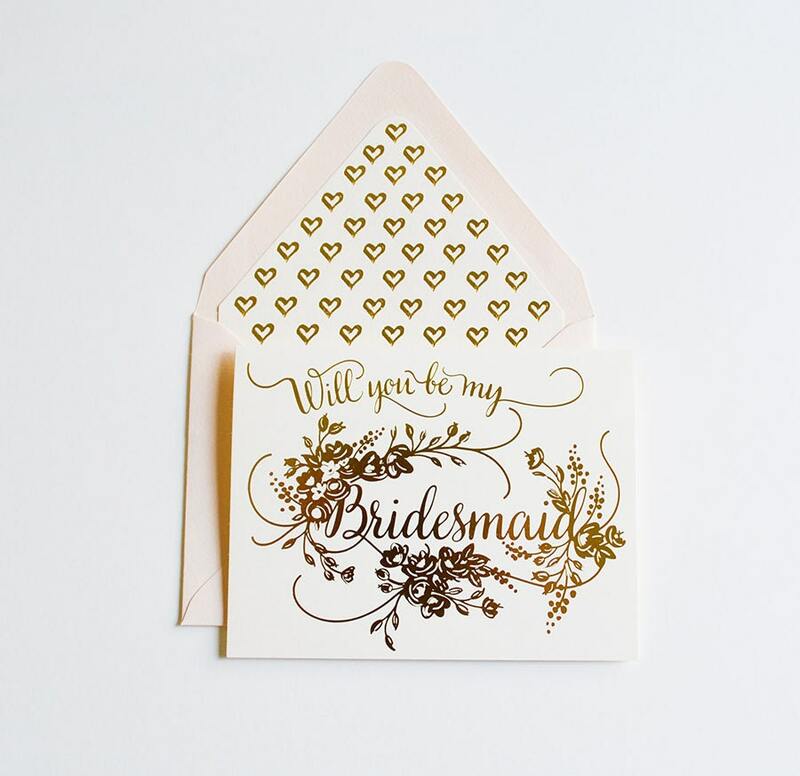 Lovely cream card stock with our gold foiled floral type. 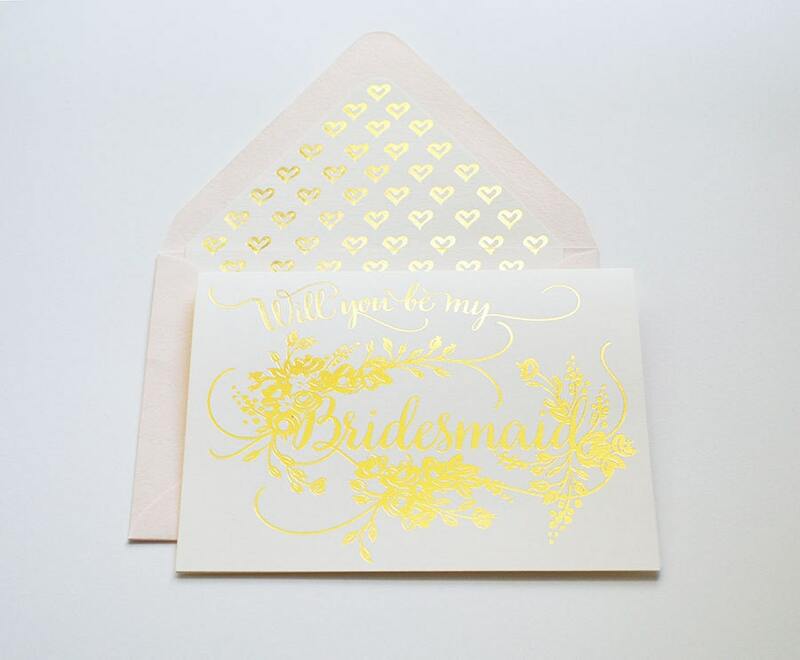 In second photo we are showing a more accurate view of foil sheen. These are super pretty!! This design is available only in the Bridesmaid test-we have other styles in the shop if you need a Maid, Matron or Flower Girl prompt.